This is a return to an old category. This time I'll look at a few aspects of the fantasy setting of Langrim, a pseudo-medieval affair with monsters, wizards and paladins. As usual, these images are drawn from our own history, and the intention is to provide a common frame of reference between myself and the players. 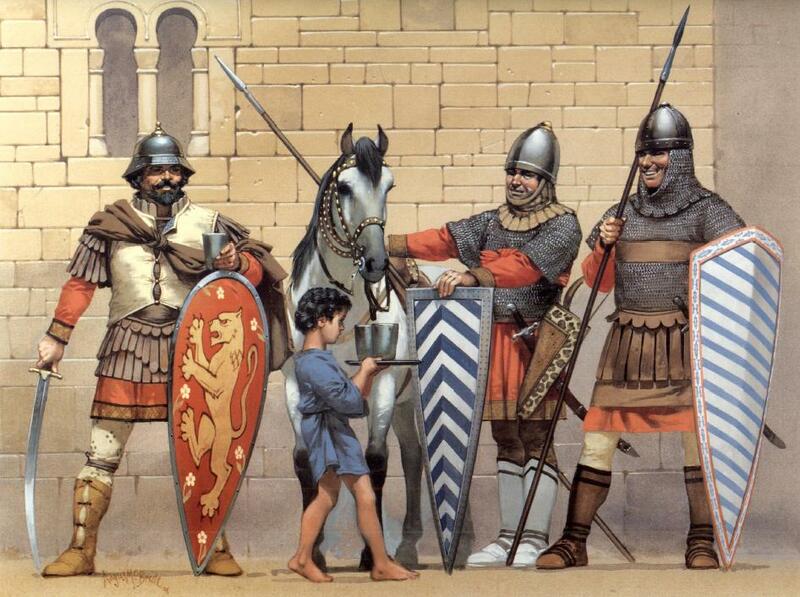 These jolly fellows are Byzantine cataphracts from around the 11th century. 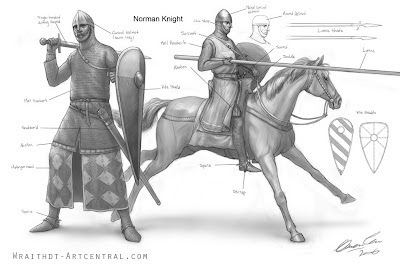 This is how the Legion appears, although they've swapped the scimitars for longswords. 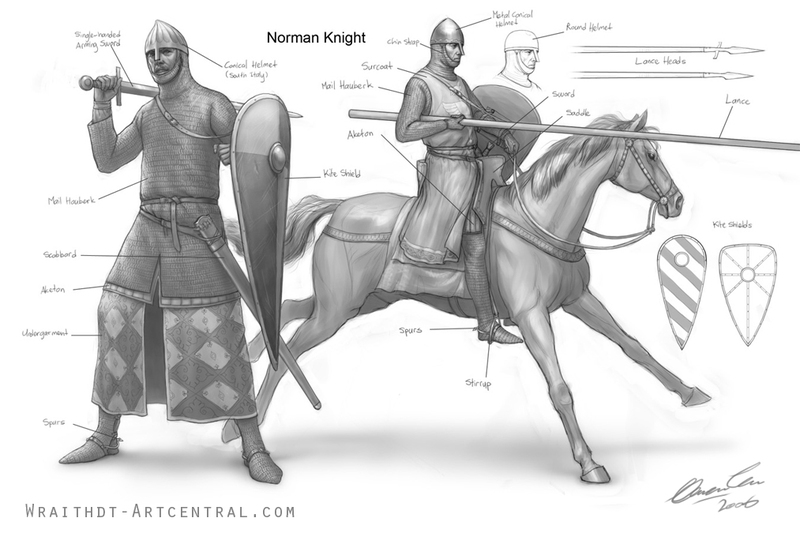 Here we have a breakdown of the equipment of a Norman Knight. This is how most of the Knights of Greenvale roll. There will be some amongst them who wear plate, perhaps even full plate, but by and large most warriors on the island wear chain. The bastle was a common sight on the Anglo-Scottish border in the 16th and 17th centuries. In this age of frequent skirmishes and prolonged unrest, these fortified farmhouses offered some protection from reivers and raids across the border. In the Dominion the threat comes from goblins and other evil creatures of the dark. Lastly there's the motte-and-bailey castle. 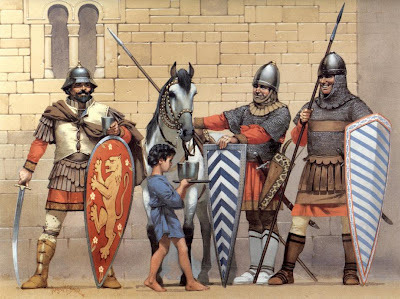 The Normans really dug these, and while they have several drawbacks compared to the stone fortifications that became all the rage in later centuries, they should work well against an enemy who rarely stays in the field once the sun rises. They also have the added advantage of being comparatively cheap to raise, and though labour intensive, cheap to maintain. I always like to gather this sort of stuff (at least for myself if not the players). I helps me get into the feel of a setting. The Osprey books are great for this sort of thing. You can never have too many Osprey books.